Here is a cool little Austin Mini I bought locally recently, would like to keep it as a nice little run-around/ delivery truck, but I have to sell something soon.. 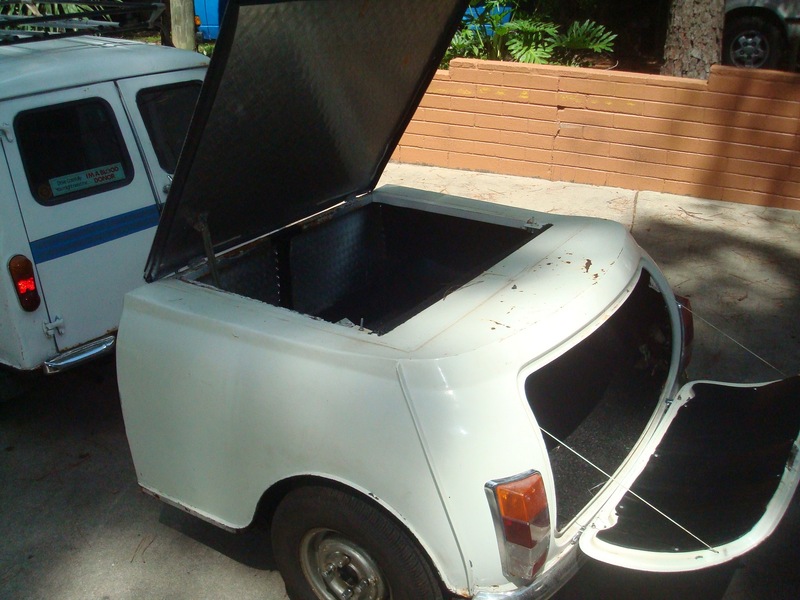 I have an extended trip to Oregon planned in August and have to get the war chest brought back up to snuff. 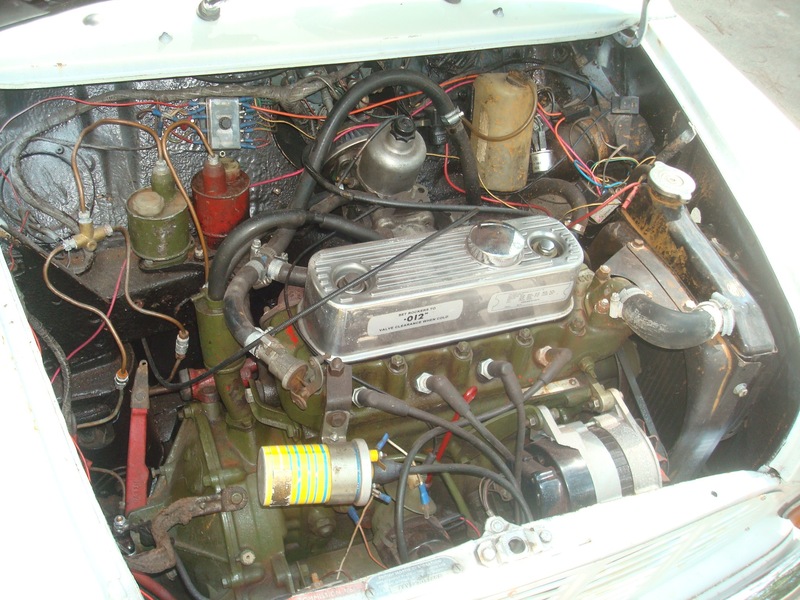 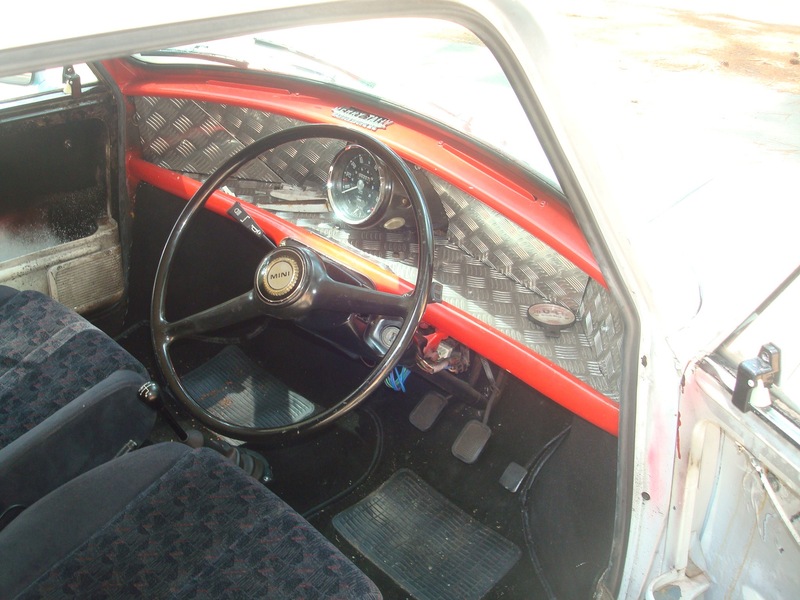 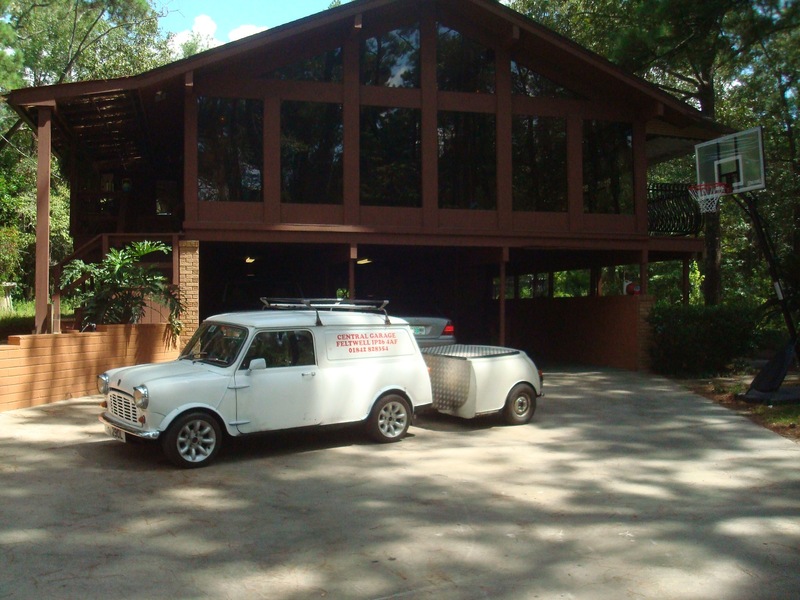 This 1972 Mini is showing 207 miles on its new speedometer/ odometer – True Mileage Unknown. Engine was recently replaced with a fresh 1275cc unit – it is fast! 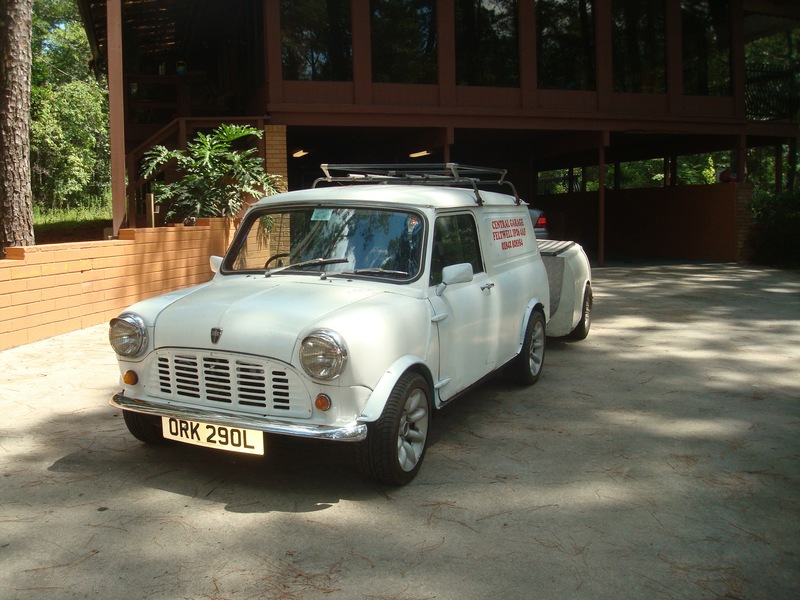 New clutch fitted at this time (only a couple hundred miles ago) , electric cooling fan, new brake lines, front disc brakes, 13″ alloy wheels, with brand-new V-rated tires, and more comfortable seats, drivers side power. 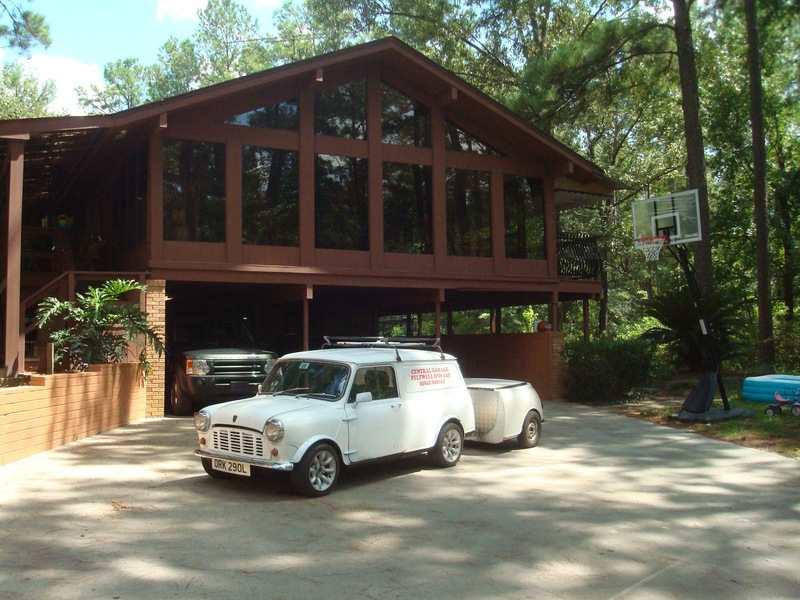 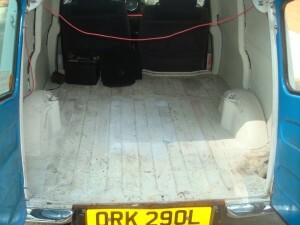 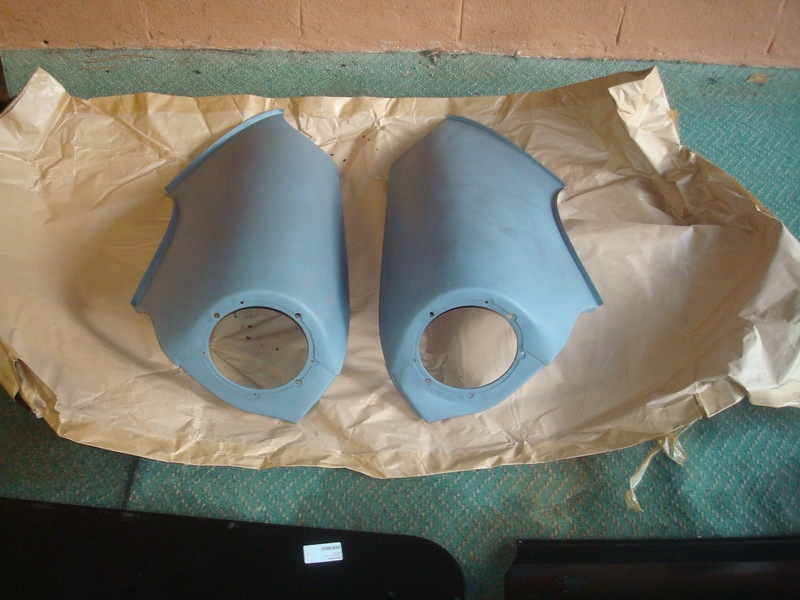 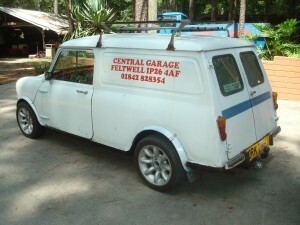 Car is a cosmetic project – most panels dented/ have filler, have been rust repaired. 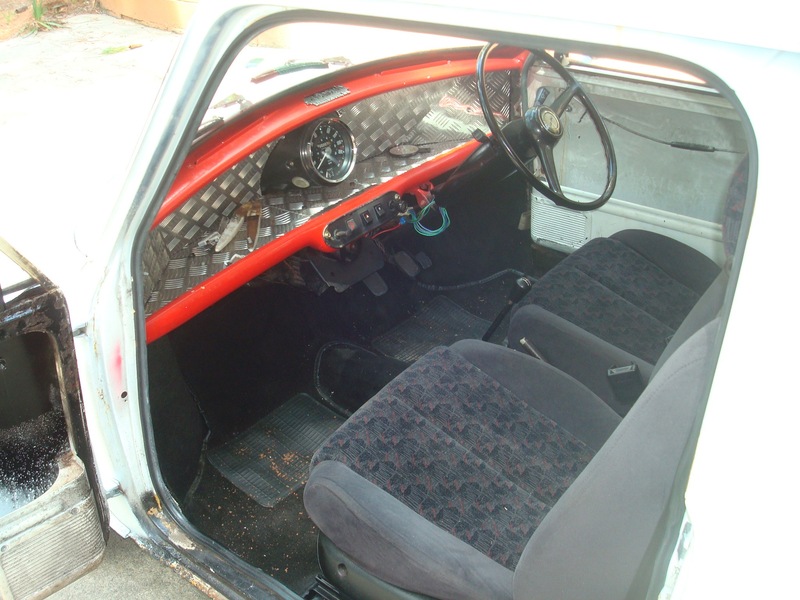 Car did pass its last MOT test in the UK though, so is structurally sound. 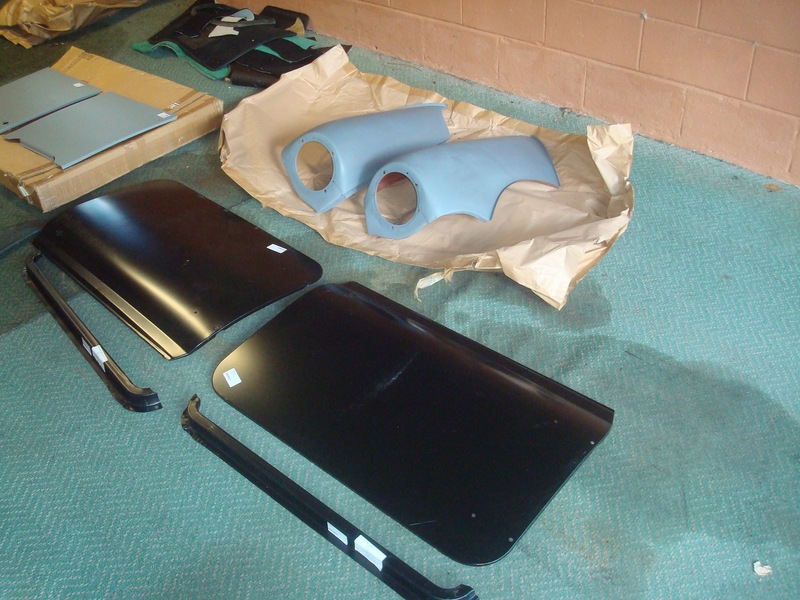 Car does come with many new panels : front fenders, door skins, door bottoms, rear door skins and more. 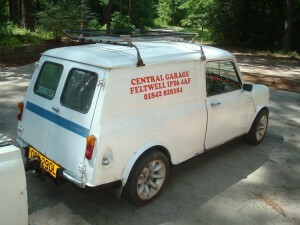 Can be driven now, starts right up, runs, drives and stops fine. 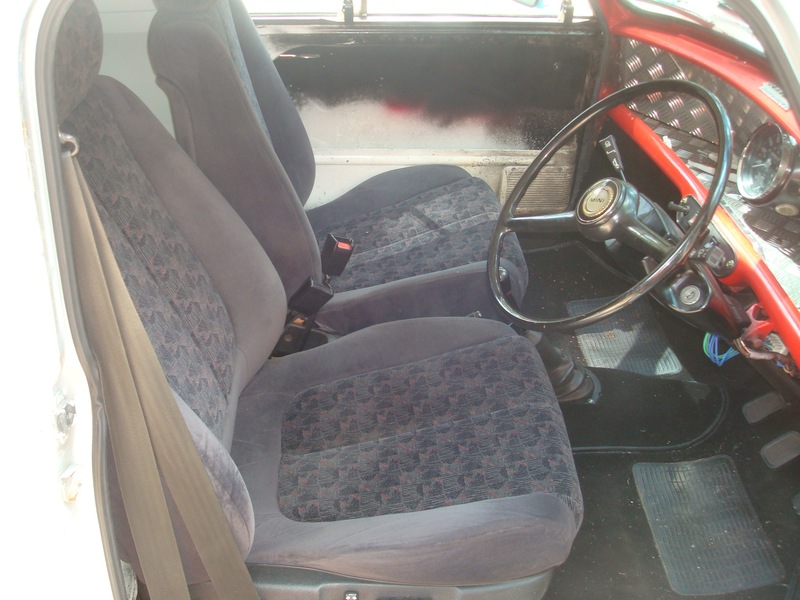 Steering rack has a missing tooth (my guess) as there is a spot in it where wheel ‘thunks’ loudly while turning. I inspected suspension and nothing loose, just happens at this same spot in steering angle. Should be fixed soon, but I have been driving it like this. 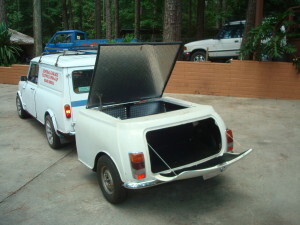 Matching little trailer very cute and practical if you need to haul things around in your tiny car. 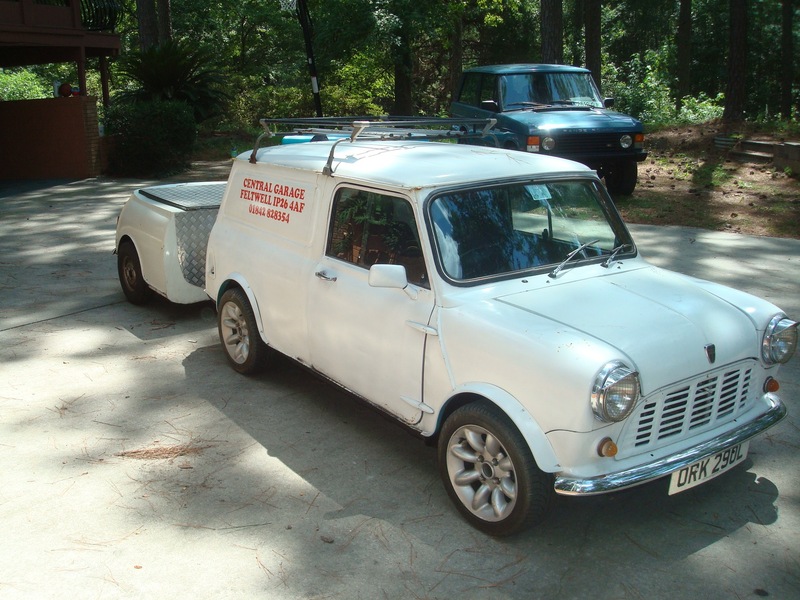 As you can see, it is a right hand driver — Nifty if you have to deliver mail, or like attention. Call me at 912-14-8993 with any questions/ to discuss purchase. Car has clear title ready to transfer to new owner now. Will be 100% title-able/ register-able in all 50 states. 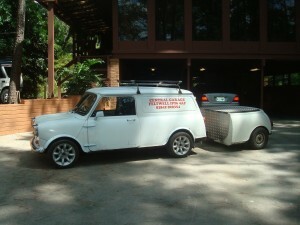 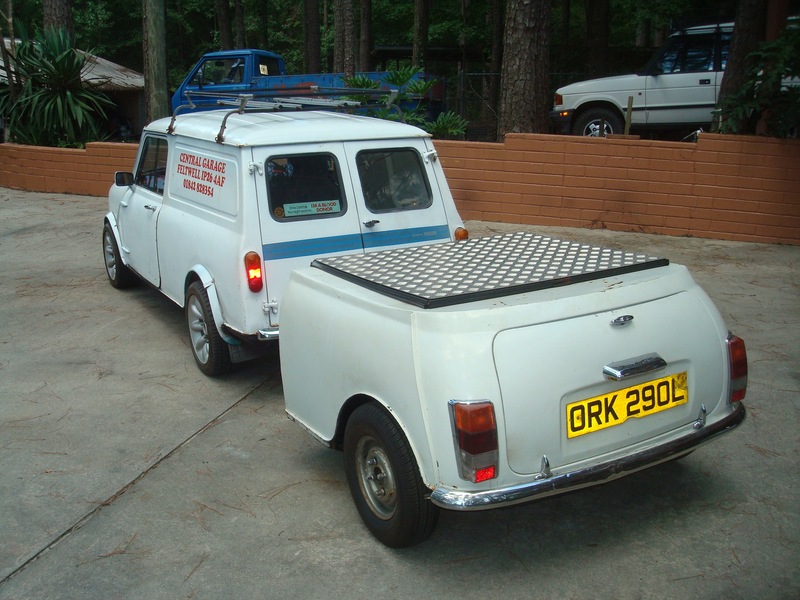 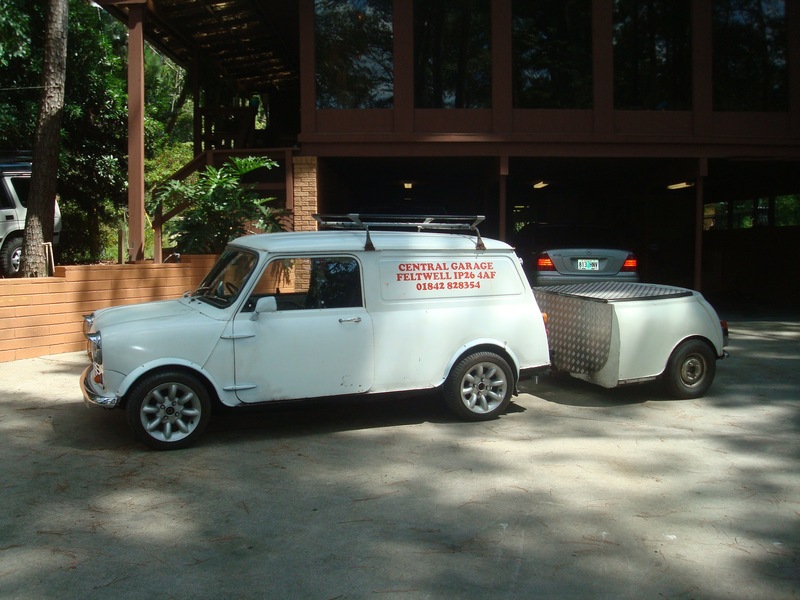 Tagged 1972 austin mini for sale, austin mini classic van, austin mini clubman, austin mini clubman classic for sale, zak mosieur, zak mosieur classic for sale, zombie motors, zombiemotors.